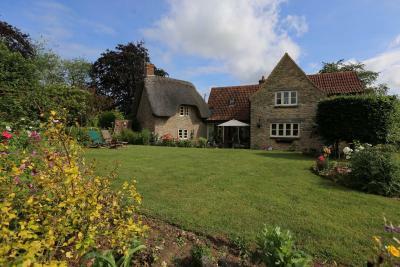 Lock in a great price for Thatch cottage – rated 9.8 by recent guests! Absolutely wonderful stay! Hosts are friendly, cottage is ADORABLE, breakfast was delicious, village is lovely! Couldn't have asked for more! 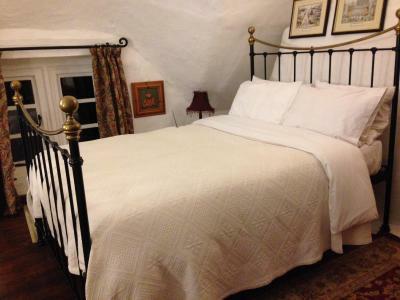 Thatch Cottage is a beautiful period property, immaculately clean with all modern amenities and a very comfy bed. This was by far the most magical accommodation we have ever stayed at. It was like a fairy cottage and we never wanted to leave. 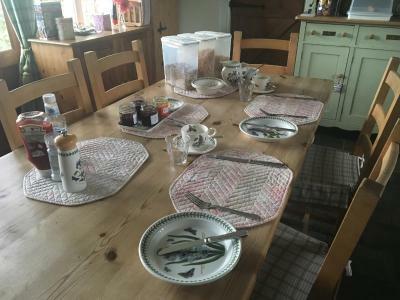 Our hostess Nancy was delightful and cooked the most delicious breakfasts for us in her adorable kitchen on her fantastic Aga cooker. She is also a wonderful gardener, with gorgeous gardens all around her property. 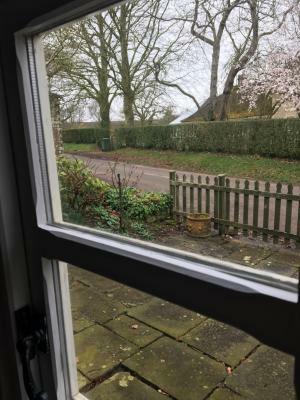 The cottage itself is beyond description...clean, cozy, quaint, simply adorable, and a short walk to the exceptionally picturesque Lacock Village. Suffice it to say that you will never forget staying at this property. We know we won't. The most gorgeous place!! The lovely owners stayed up and waited for me to arrive, gone 22:30, after a massive delay returning from a working holiday and even made up a breakfast tray for me with fruit, croissants, juice and cereals after I mentioned that I had to leave early again for more work. The 'room' itself is just like its own contained cottage. 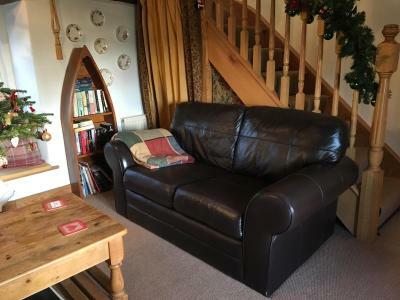 Beautiful lounge area, private shower room and bedroom upstairs. The double bed was fab! I must find any excuse to go back and spend more time there!! Thank you! Such a delightful place to stay. 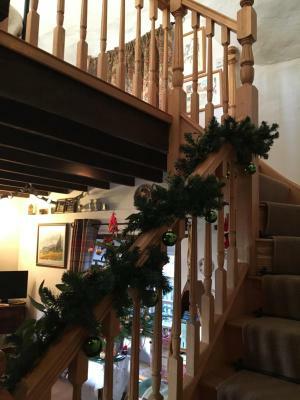 Especially nice with the Christmas decorations. 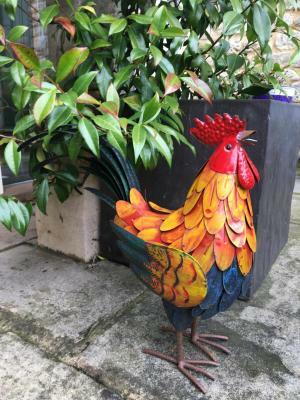 Very good location for Laycock and places like Bath. 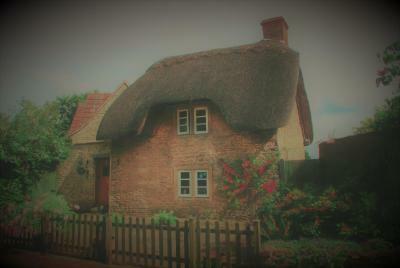 Thatch Cottage was full of character, clean and a lovely place to stay and our hosts were very friendly. Breakfast was delicious. 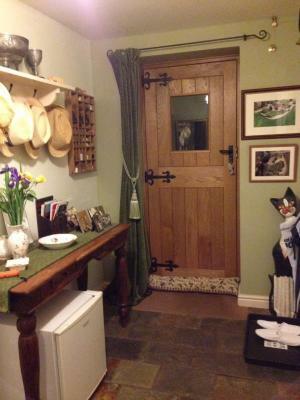 Beautiful cottage, with fantastic hosts who couldn’t do enough for you. Had an amazing stay. 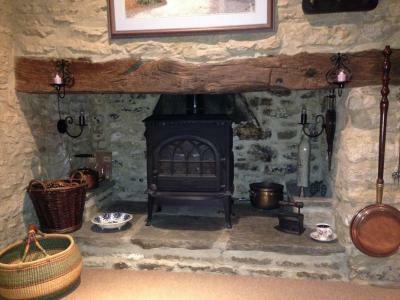 Incredible to get your own thatched cottage with inglenook fireplace as a b and b room! Nancy and Paul were so welcoming it was like being personal guests in their home. 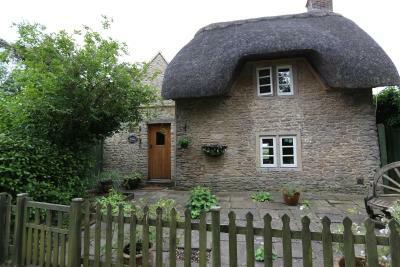 This 17th century thatched cottage is located a 20-minute walk from the National Trust village of Lacock. Free WiFi access is accessible at the property and free parking is possible on site. 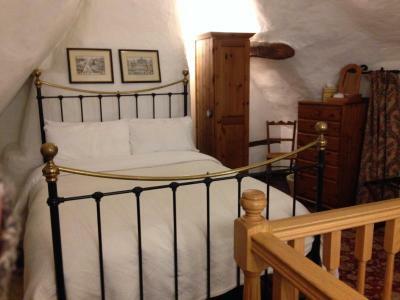 The double room is en suite with complimentary toiletries. The room comes complete with a flat-screen TV, DVD player and a seating area. 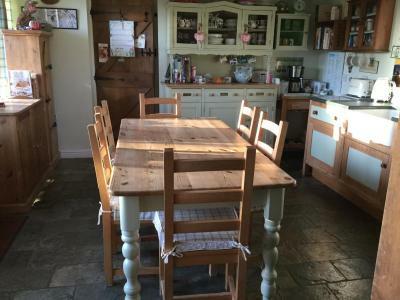 Although the room is part of the family home, the cottage has its own front door, hallway, shower room, and living room and guests are made to feel welcome. 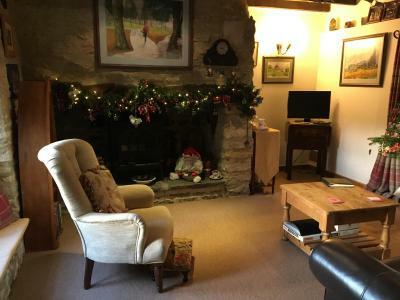 The living room has been tastefully decorated and has a large open fireplace with gas burner, TV, DVD and tea and coffee making facilities. Free Wifi is available for guests. 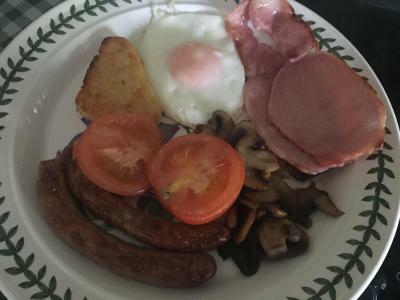 A cooked breakfast is included in the room rate. 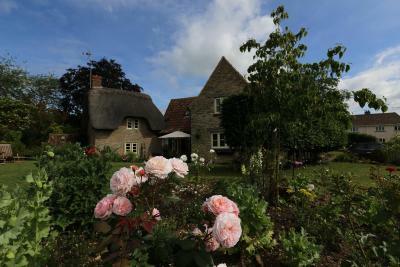 As well as nearby Lacock, many restaurants and bars can be found less than 5 miles away in Chippenham. The picturesque city of Bath is 13 miles away, while Bristol Airport can be reached in less than 1 hour by car. 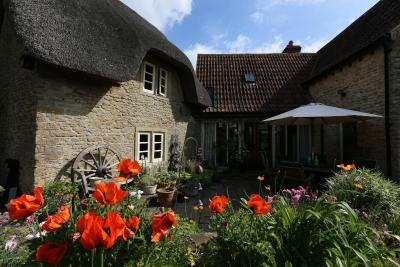 When would you like to stay at Thatch cottage? 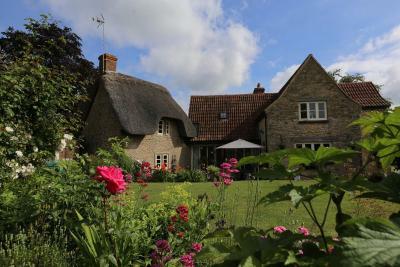 Guests will stay in a seventeenth century thatched cottage, which has been listed as grade two. House Rules Thatch cottage takes special requests – add in the next step! 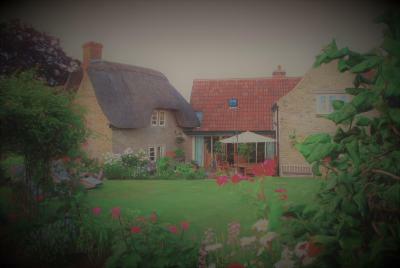 Thatch cottage accepts these cards and reserves the right to temporarily hold an amount prior to arrival. Kindly note the property only accepts payment in cash. 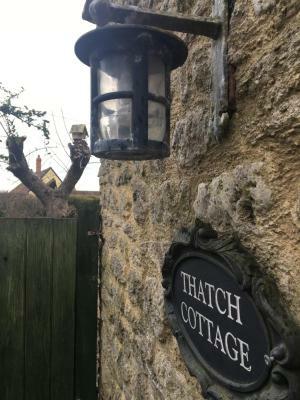 Please inform Thatch cottage of your expected arrival time in advance. You can use the Special Requests box when booking, or contact the property directly using the contact details in your confirmation. I had a lovely living space to myself and the bed was super comfy. Wonderful breakfast too! Excellent location and lovely facilities. Quiet, comfortable and attentive host. Nothing at all really. A mattress topper would have made the bed a little softer, but that is probably just us, some people need a firm bed. A very warm welcome wonderful location very comfortable and excellent breakfast. Nacy and Paul went out of their way to make our stay a good one. Very handy location for badminton horse trials. The local village of laycock though was the highlight. 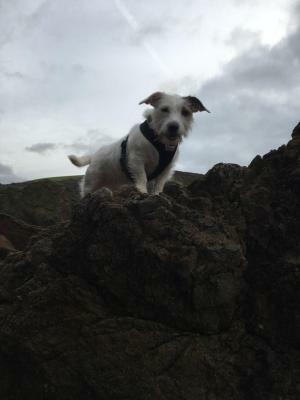 I loved it, well worth a stroll round. 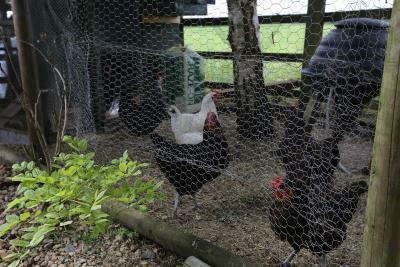 The accommodation was superb, Nancy had really thought of everything.